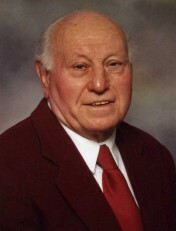 Henri Albert Joachim, founder and life time member of the Cobourg Cycling Club has passed away at the Northumberland Hills Hospital in Cobourg on Wednesday, June 6, 2012. Henri represented all things cycling, and was present with his support as recently as the Bikeathon just two weeks ago. He is near and dear to our friends both at the Cobourg Cycling Club and the cycling community in general. He will be missed deeply by many. A Celebration of Henri’s life will be held at the MacCoubrey Funeral Home, 30 King St. E., on Saturday, June 9, 2012 at 3:30 p.m. Friends may call at the funeral home from 2 p.m. until time of service. Interment St. Michael’s Cemetery, Cobourg. Donations in memory of Henri can be made to the Canadian Breast Cancer Foundation. Condolence to www.MacCoubrey.com. Saturday, June 9, 2012 from 2 p.m. till 3:30 p.m.
Saturday, June 9, 2012 at 3:30 p.m.
My father was born in 1931 , not 1930..